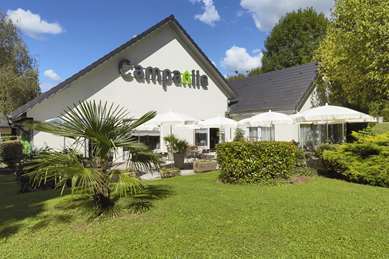 Superbly located on the Aix-les-Bains Golf Course, the 3-star Hotel Campanile hotel-restaurant is located in the heart of the Alps. 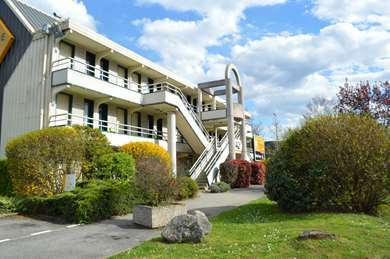 It is 5 minutes from the A41 and the railway station, and 7 km from the airport Chambery Aix. For business travel, sightseeing and sporting weekends in Savoy, enjoy a warm welcome and a family atmosphere at the foot of the Bauges. Book your accommodation at Campanile Aix-les-Bains and enjoy a great night's sleep, just 10 minutes from Lake Bourget. 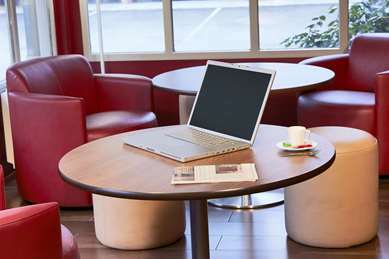 All our rooms are quiet, air-conditioned and have free access to Wi-Fi. 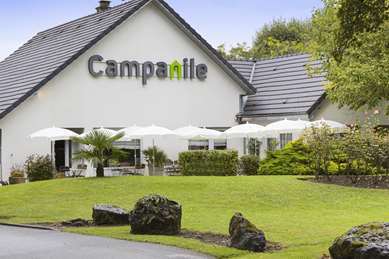 They are equipped with quality bedding, flat screens and coffeemakers. Some are suitable for disabled guests. 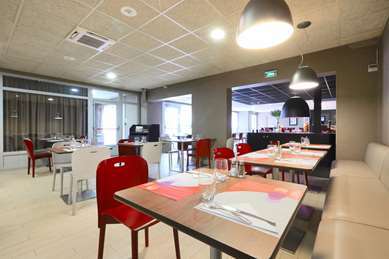 The Campanile restaurant in Aix-les-Bains has a shaded terrace and private parking. It provides the perfect setting for a family lunch, a business or social dinner. Savour seasonal dishes and tempting buffets of appetisers and desserts. The service is efficient and attentive. Lunch 12:00 to 2:00 p.m.
A meeting room for up to 20 participants is available to hire all year round. 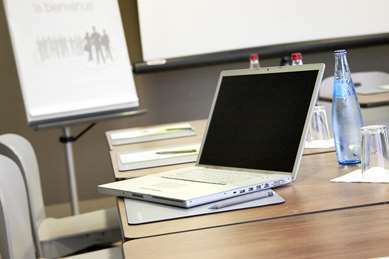 It receives natural daylight and is equipped with Wi-Fi and video equipment for presentations. The hotel is located 5 minutes from the spa town of Aix-les-Bains, the casino, the Palais des Congrès, the Faure Museum and the Marlioz sports hall. Whether it is summer or winter, many activities are available near the hotel: water sports 10 minutes away on Lake Bourget or winter sports. The first ski resorts are a 20 minute drive away. 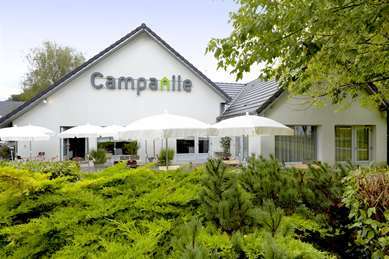 For an excellent night's sleep, the Campanile hotel in Aix les Bains has 59 spacious and bright rooms. 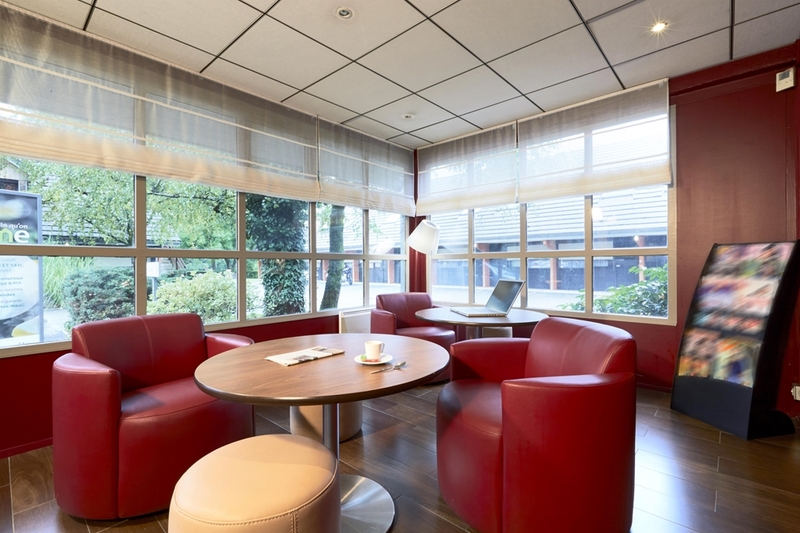 Half of those that are situated on the ground floor have been adapted for guests with limited mobility. Whether you're here on a family holiday or a business trip, every effort is made to ensure that your stay at the Campanile hotel leaves you feeling relaxed, free and comfortable. 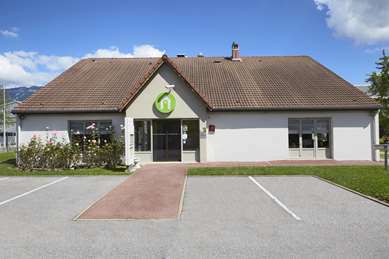 All our rooms are air-conditioned and have high-quality bedding, a flat-screen TV, a telephone, a private bathroom, with a toilet, shower, hairdryer (available from reception) and our famous complementary tea- and coffee-making facilities are available, including a kettle, an assortment of tea and light snacks. Wifi is free throughout the hotel. 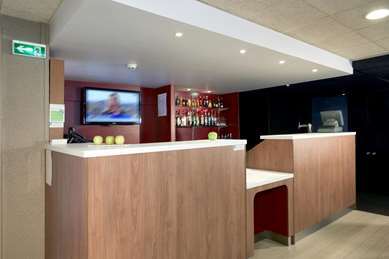 An extensive self-service breakfast is available from 6.30am until 9.30am. You can fill up on vitamins with our self-service buffet, offering tea, coffee, fresh fruit juice, cereals, pastries, meats and yoghurt, not to mention our fruit salads. Try everything our restaurant has to offer. The Campanile hotel in Aix les Bains serves regional or traditional cuisine, light snacks or family meals. Set menus, children’s menus and à la carte menus are available. We cater for all tastes. For lunch or evening meal, served between 12 noon and 2pm and from 7pm until 10pm respectively, why not try our starter, cheese and dessert buffets. 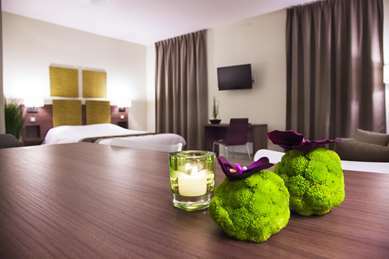 Room service is available by advanced booking until 10pm. From Lyon/Chambéry : take direction A43 Aix/Annecy. Follow A41 and take exit 13 Aix-les-Bains/Drumettaz-Clarafond. 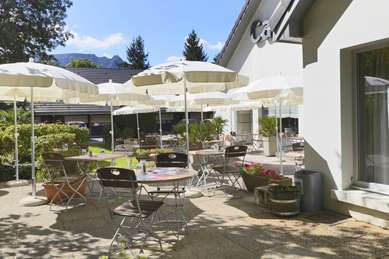 From Aix-Center : take the Boulevard Président Wilson towards Chambéry and join the Avenue du Golf. Turn on the Chemin des Burnet.